This bright floral spacer bar has 6 spaces underneath to pass many strands of beads through. 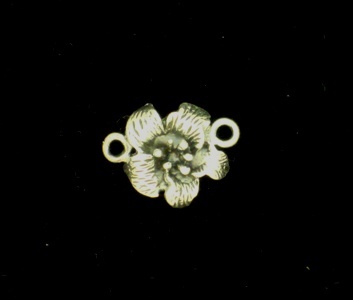 This V-shaped floral pendant has one ring on each end and one in the middle to hang something from the center if you want. 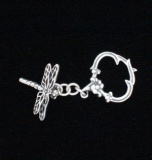 The rings are hidden underneath the design. 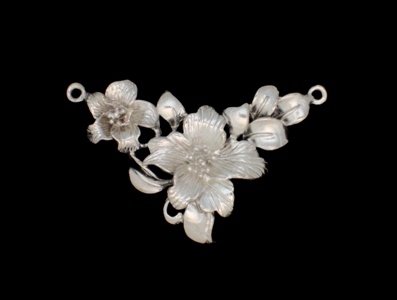 See the floral bar and connectors to go with this incredible centerpiece. 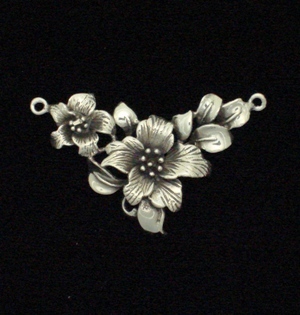 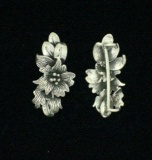 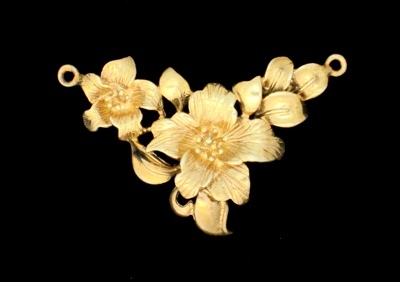 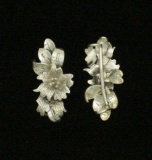 This antiqued floral spacer bar has 6 spaces underneath to pass many strands of beads through. 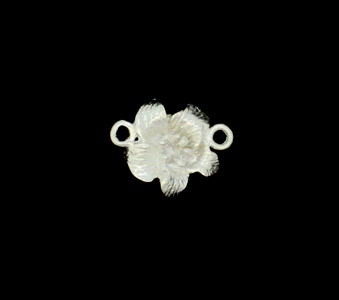 This BRIGHT sterling connector with one ring on each side can be used to hang from earrings; as spacers in bracelets or a small pendant. 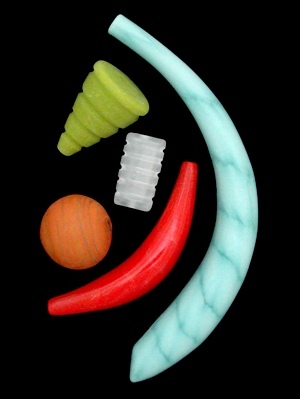 Very versatile component.